One of the people I met up with at BristolCon was Murky Depth editor Terry Martin. As revealed on his blog, we are working on The Best of Murky Depths, an anthology containing my selection of the best graphic and prose stories from the first 10 issues. The selection has already been made, I've written a few words about each of my choices and permissions are currently being sought from artists and authors. 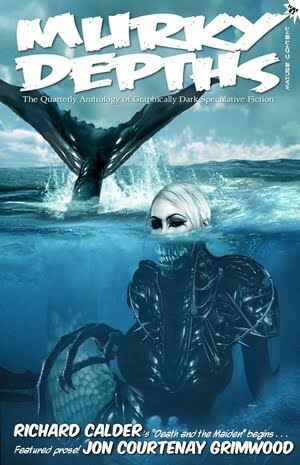 The anthology will go out in PDF format, giving readers a chance to sample what Murky Depths has to offer. It will look pretty awesome.